Everybody loves children — and Florida lawmakers are ready to spend record amounts on them. But improving the lot of children will require tough political decisions on top of cash. Gov. Rick Scott is proposing record spending on K through 12 education and a nearly $60 million increase in early education and care, and he has already signed into law a package of bills designed to keep child predators behind bars. Lawmakers are moving forward with a major overhaul of child-welfare laws designed to keep children safe from abuse and neglect at the hands of their parents or caregivers, in part by setting new standards and procedures for state child-protection investigators. 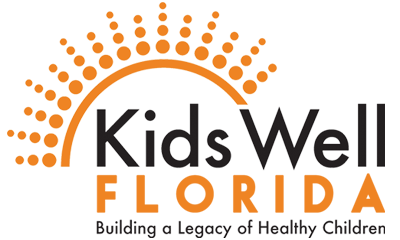 But, as the annual Children’s Week concludes at the Capitol, some child advocates and civil-rights leaders say the governor and the Republican-led House and Senate are not doing enough to keep children healthy and safe. Lawmakers have refused to accept federal help in expanding Medicaid, which would bring health-care coverage to more than 1 million Floridians. They have balked at requests to repeal the state’s Stand Your Ground law, which its critics say puts black children in harm’s way. And they may be wavering on legislation that would eliminate a five-year waiting period for legally residing children of immigrants to get health insurance through Florida KidCare. Others say it’s too early to fully assess how well children will fare this session, because key pieces of legislation — including the child-welfare overhaul — have yet to be finalized. Ted Granger, president of the United Way of Florida, which sponsors Children’s Week, said that, in general, the organization was very pleased with the governor’s budget proposals, which dovetail with House and Senate priorities. David Lawrence Jr., president of the Early Childhood Initiative Foundation and chair of the Children’s Movement of Florida, said he was pleased by the attention children’s issues were receiving this year. Scott, speaking before a group of business leaders during a Children’s Week luncheon Monday in Tallahassee, touted his proposal to spend $1.1 billion on early learning, which includes an increase of $100 per child in the Voluntary Prekindergarten program and a $30 million increase to expand the School Readiness Program to 6,500 students. “That’s the right thing to do,” Scott said. But Dr. Ed Holifield, a Tallahassee physician and health-care advocate, said Children’s Week will have been for naught without the health-care expansion. Leah Barber-Heinz, CEO of Florida CHAIN and a project manager for Kids Well Florida, said expanding Medicaid is “extremely important” to the well-being of children. Estimates on the number of uninsured children in Florida range from more than 400,000 to as many as 800,000. Lawmakers were prompted to address the child-welfare issue following media reports last year about the deaths from abuse and neglect of children who were known to the Department of Children and Families. Last month, the Miami Herald published an investigation into the deaths of 477 children whose families had interfaced with DCF at least once over the past five years. Senate Bill 1666, spearheaded by Sen. Eleanor Sobel, D-Hollywood, would make numerous changes to statutes designed to improve the quality of child-protection investigations. Proponents say one of its most important provisions is a requirement that 80 percent of all child-protective investigators and supervisors hired after July 1 by the Department of Children and Families have a bachelor’s or master’s degree in social work. The bill made it out of its first committee stop April 2, by a 12-1 vote of the Senate Appropriations Subcommittee on Health and Human Services. On Thursday, however, the Senate Appropriations Committee temporarily postponed it. A House version of the bill is now in appropriations. Kurt Kelly, president and CEO of the Florida Coalition for Children, said “the jury is still out” on what the child-welfare legislation will look like. But he said the final product will have to have funding of at least $25.4 million for new case-management and case workers and diversion, prevention and intervention services. Granger said the House bill includes $4.5 million for Healthy Families Florida, a voluntary home-visiting program designed to help parents deal with all of the challenges of parenthood, from preparing healthy meals to disciplining children. He said DCF and third-party evaluators have found that the program eliminated abuse and neglect in more than 95 percent of families that completed the program. Jim Akin, executive director of the National Association of Social Workers Florida chapter, said the child-welfare bills could bring profound change as long as they aren’t “watered down” or inadequately funded. Sponsored by Sen. Eleanor Sobel, D-Hollywood.Makes numerous changes to statutes designed to protect children from abuse and neglect by improving the quality of child-protection investigations. Would require that 80 percent of all child-protective investigators and supervisors hired after July 1 by DCF have a bachelor’s or master’s in social work. Would require DCF to hire an assistant secretary for child welfare and create critical-incident rapid-response teams to respond to child deaths. House bill is HB 7169. Sponsored by Sen. Rene Garcia, R-Miami, and Rep. Jose Felix Diaz, R-Miami, respectively. Would remove five-year wait for lawfully residing children of immigrants to receive subsidized health care through the KidCare program. Sponsored by Marlene O’Toole, R-Lady Lake.Would expand minimum health and safety standards in child-care facilities, Voluntary Pre-K and child-care programs. Sponsored by Rep. Greg Steube, R-Sarasota, and Sen. Alan Hays, R-Umatilla, respectively. Would allow school superintendents and principals to designate one or more employees or volunteers to carry a concealed weapon or firearm on school property. Those designated would have to have a minimum of 40 hours of a school-safety program and complete eight hours of active-shooter training and four hours of firearm proficiency training each year.